The jargon of graphic design may sound foreign to most. Here is a dictionary with 30 design terms you should know. 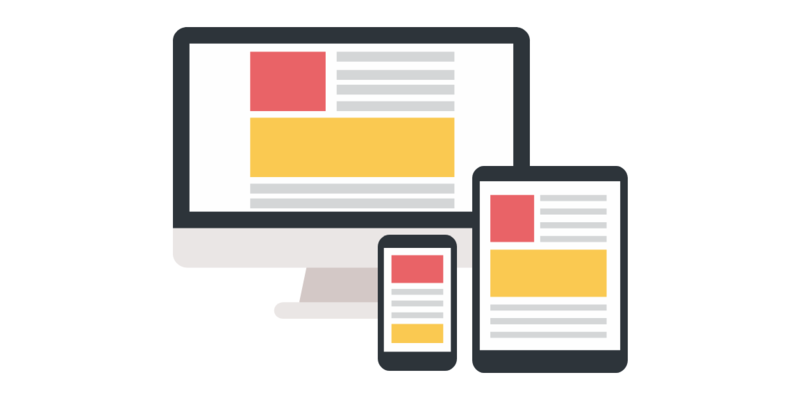 A responsive web design is flexible and adjusts the layout to the device used to view the content. 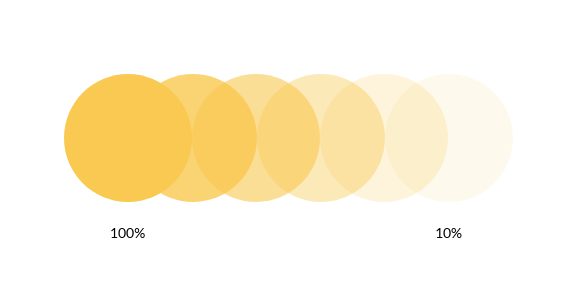 Alignment refers to the lining up and organization of textual or visual elements. 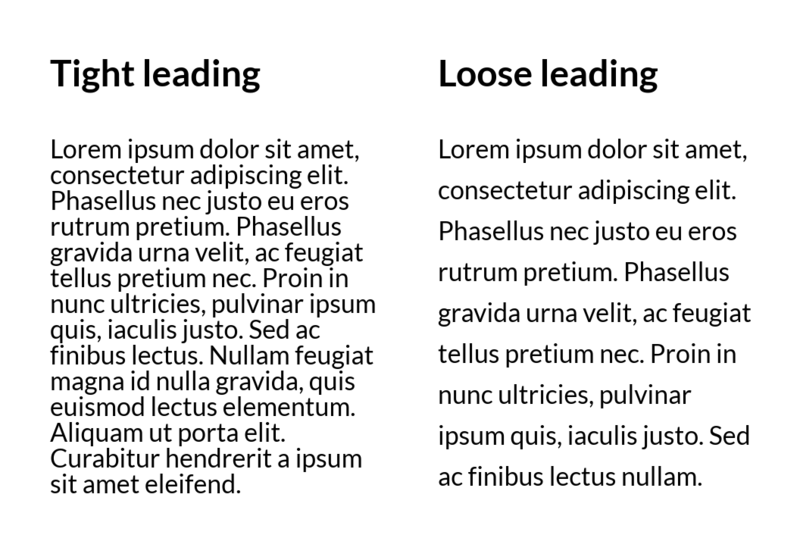 A hierarchy is a visual arrangement of textual elements based on importance, using different font styles and sizes. 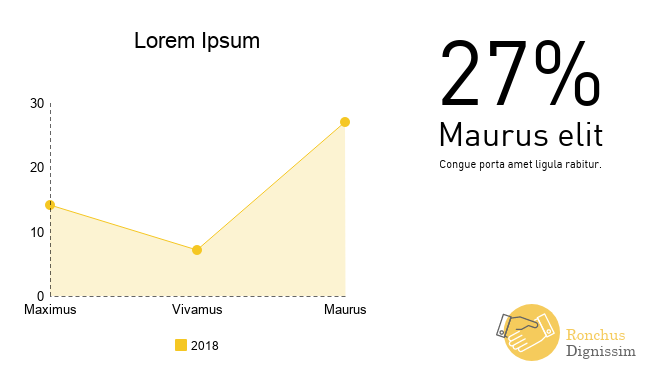 A grid is a framework with columns and rows to make it easier to align and arrange elements in a consistent way. White space is the space between elements that are not filled with content, allowing the design to breathe. 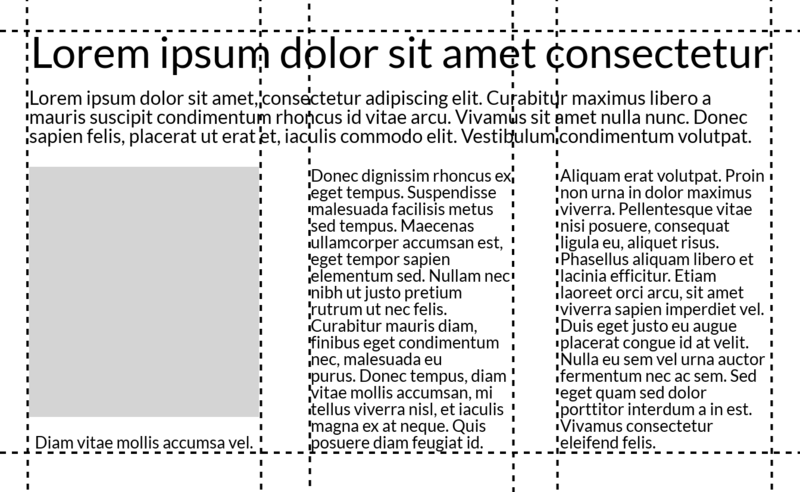 The comprehensive layout, or comp, is a draft of the final layout of the product that a designer presents to a client. Typography is the visual arrangement of type to make it readable and visually appealing. 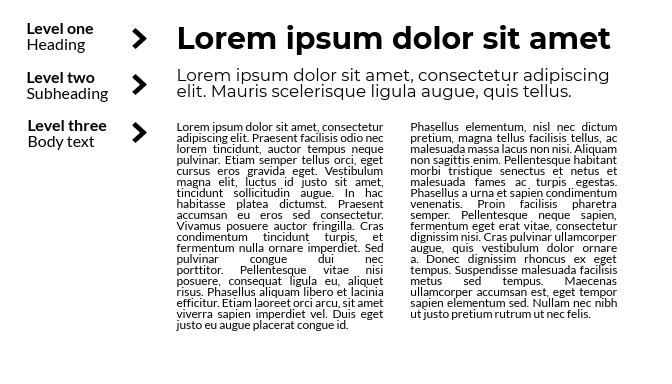 A font is a set of characters with a specific style and size. Leading is the line spacing or the distance between the type. Tracking is the space between the letters in a word. Kerning is similar to tracking, but refers to the space between two individual letters. Try the kerning game to see how it works. An orphan is a word that is separated from the rest of the text. 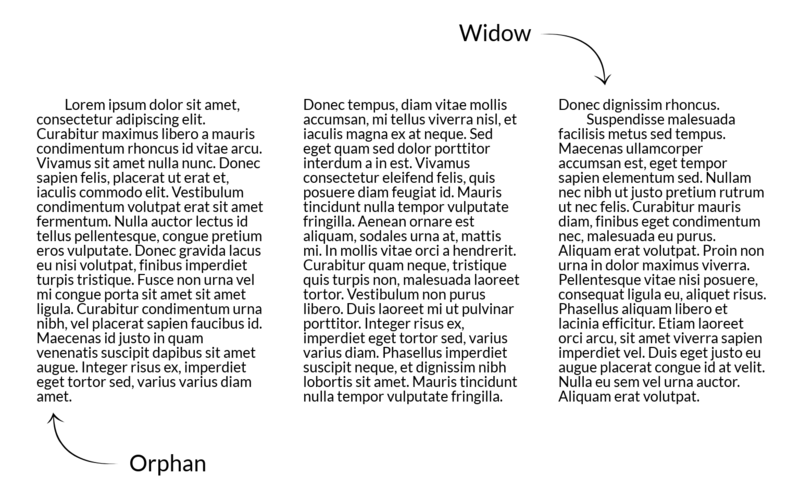 Widow refers to a line of type separated. The color palette consists of the range of colors used for the design. 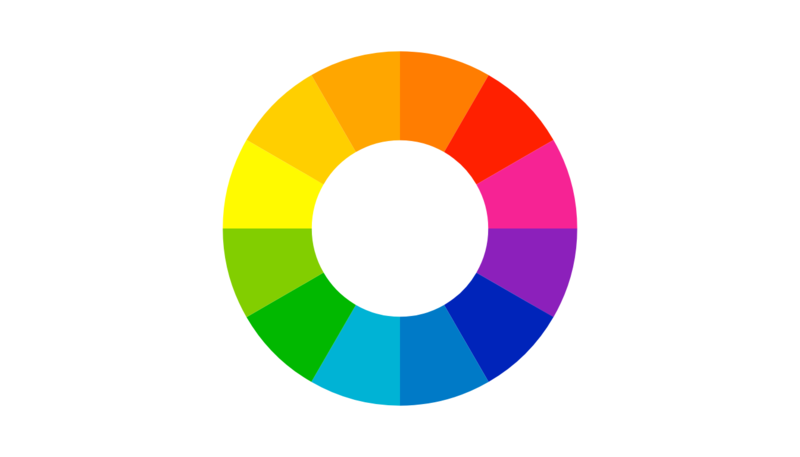 The color wheel is a circle of colors based on the three primary colors (red, yellow and blue) that shows the relationship between the colors, including complementary, triadic, analogous and monochrome colors. Color theory refers to studies of how colors affect the brain and what emotions they trigger. CMYK (Cyan, Magenta, Yellow, Key) is a color model referring to the four colors used in print. RGB is a color model based on red, green and blue and can be used in combination to reproduce other colors. Hex is the six-digit-number that represents a color based on hexadecimal values. 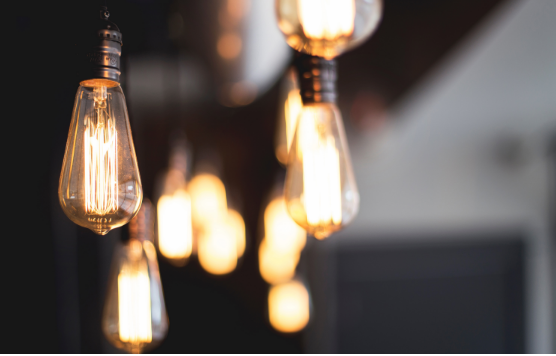 Contrast is the obvious difference between two visual elements, such as light versus dark. Saturation refers to the intensity of a color, where a color in its purest form is considered fully saturated. 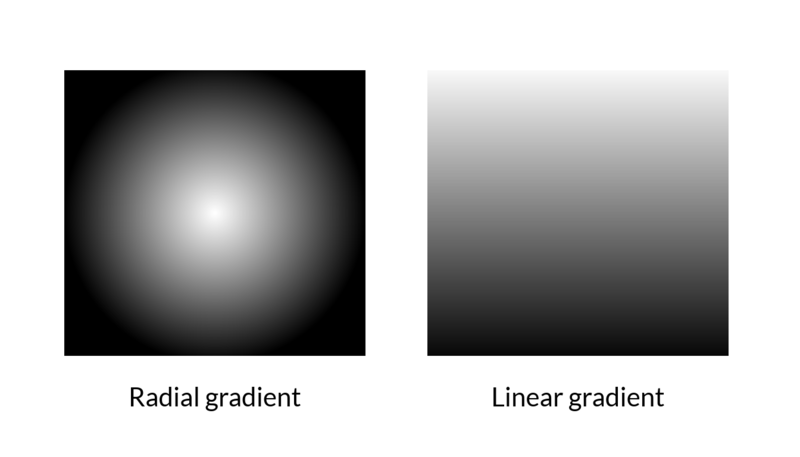 A gradient is a gradual change from one color to another. Opacity refers to the degree of transparency of an element. The lower the opacity, the more transparency. Resolution is the number of pixels of an image and generally, a high resolution is a synonym to high quality. Blur is a way of making a visual element unclear or less distinct, to enhance other elements. HTML (Hypertext Markup Language) is the standard markup language or the code that compose and structure web pages. 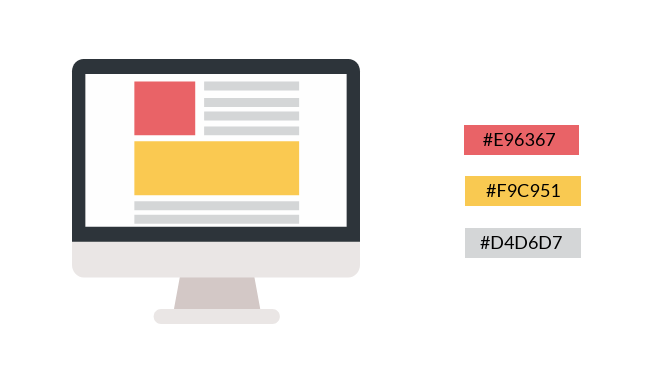 CSS (Cascading Style Sheets) is a style sheet language that describes a markup language such as HTML and is used to format the layout of web pages. CMS (Content Management System) is a software used to create and manage digital content. UI (User Interface) refers to the visual elements used in the interaction between a user and a software. UX (User Experience) naturally refers to a users emotions and attitudes regarding the user interaction with a product. Metadata is an underlying description of other data that provides information about content, making it easier for search engines to pick up.